New Salem, IL and Springfield, IL. Wednesday, August 16, 1837.New Salem, IL and Springfield, IL. 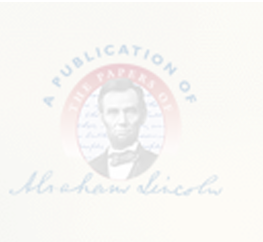 Upon returning to Springfield from New Salem, where he visited romantic interest Mary S. Owens, Lincoln writes to her seeking to clarify the status of their relationship. He writes, "I want in all cases to do right, and most particularly so, in all cases with women. . . . [O]ur further acquaintance shall depend upon yourself. . . . If it suits you best to not answer this—farewell—a long life and a merry one attend you. But if you conclude to write back, speak as plainly as I do. There can be neither harm nor danger, in saying, to me, any thing you think, just in the manner you think it. "Abraham Lincoln to Mary S. Owens, 16 August 1837, CW, 1:94-95.